In a non-binding staff report, the commission approved a number of measures aimed at the mobile app industry to protect the privacy of people using their smartphones and tablets. Among the guidelines, the inclusion of a “do not track” feature for device software and applications is being advocated since mobile adoption rates, even as a primary method for getting on the internet, continue to rise. The report also outlines what types of activity could trip an investigation of a company or developer by the FTC, for example, communicating that an application will only gather geo-location data once when the app actually does so continuously. While this report is not law or even policy, for larger companies like Amazon, Apple, Google, Microsoft, et al, these guidelines are basically the same as policy or law since these enterprises have the resources to implement the suggestions (if you could call them that) without undue strain on resources or product and app development. However, for the smaller companies out there or even the individual developer, it creates a bit of minefield. “This says if you’re outside the recommended behavior, you’re at a higher risk of enforcement action,” according to Mary Ellen Callahan, former chief privacy officer with the Department of Homeland Security. It also puts the app stores under the gun as well, and could arguably lead to eliminating screening for privacy protection entirely. Then, the liability of privacy lies solely on the app developer. 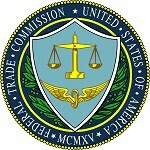 The focus has primarily been on desktop browsers, but mobile apps, browser and social networking sites will earn more time under the spotlight over time, as we have just seen with Path, a social network that recently paid an $800,000 fine to the FTC for engaging in deceptive practices with subscriber’s personal data (the fine was paid without an admission of guilt). One thing is for certain, mobile app developers and the environments their products are sold and used, are going to be under increasing scrutiny. Good job. A guideline timely issued.